LaLa World is an ecosystem for the migrants and their unbanked families. LALA World (“LALA”) is all about migrants and their unbanked families. Its an ecosystem enabled by the LALA Wallet as a platform, a single sign on platform revolving around their issues and problems. Employment issues, digital ID’s, communities build up, government and NGO partnerships, health issues, and of course, a new financial ecosystem for the huge underbanked population by capitalizing the Blockchain revolution to bridge the gap between cash, digital and the crypto world. By creating a whole new peer to peer ecosystem, LALA aims to revolutionize the way individuals, small businesses and micro-entrepreneurs transact, make payments, borrow money and associated products like insurances, domestic and Cross-Border remittances, cards and other general banking products. 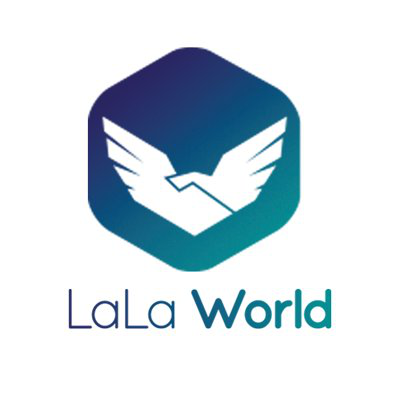 ICO Description: LALA World is an Ecosystem of real life partnerships with governments, NGO’s, local communities and an integration of biometrics, blockchain and distributed ledger technology that aims towards financial inclusion. LALA World Dubai and eFatoora Sign a Historic Partnership for Entire GCC Region!! !